You do not understand Latin? Soheil, this is Latin for "I came, I saw, I conquered." I'm fairly sure that was a failed orbital launch with Omid. Before the launch occurred, there were reports/claims that the launch of Omid was imminent; the claims that it was a suborbital test only emerged after the US reported they had observed the launch fail. The rocket was named "Safir-e Omid" - based on subsequent launches, "Safir-e Rasad" launched Rasad, "Safir-e Navid" launched Navid, which would imply that "Safir-e Omid" was carrying Omid. I think the next launch was actually designated "Safir-e Omid 2". AUG 13 TO 16 /0330-1530. OID51 ACTIVATED, REF AIP PAGE ENR 5.1.3-5. AUG 19 AND 20 /1030-1130. OID51 ACTIVATED, REF AIP PAGE ENR 5.1.3-5. Soheil, what is your source that Tadbir is the first payload on Simorgh? Also, how do you know that the alleged February 2013 failure was due to the payload being ejected early? Soheil, what is your source that Tadbir is the first payload on Simorgh? ماهواره تدبیر به عنوان اولین اقدام مهم فضایی دولت یازدهم به فضا پرتاب خواهد شد. Also, how do you know that the alleged February 2013 failure was due to the payload being ejected early? "Satellite space as the first important action contraption State bazdham will be launched. According to the Department of Defense and security in the East, the President's Advisor and guardian of Akbar Turks spatial organization Saturday night during their presence in Tehran said that the network in fata nights last your dialog with Iran, fazeli was responsible for the space agency, the former as a surrogate activity is engaged in the Organization of the Turks, has been the first satellite in the eleventh State to be launched, "tact" name." and which means "Ambassador", but could not find a reference. So as far as the article is concerned, we don't know if Simorgh is the carrier rocket for Tadbir. Regarding allegations of failed launches of the Safir in 2012, German space rocket expert Norbert Brugge suggests that the purported September 2012 launch failure is probably a failed suborbital flight of the Kavoshgar-5 rocket because the TEL seen in the satellite imagery near the Semnan launch site is too small to accomodate the Safir and is better-suited to accomodate Shahab-type sounding rockets (Brugge 2013)*. This possibility has yet to be confirmed by Iran, but seems plausible because North Korea lied about the outcome of its failed space launches by declaring them successful and Iran has not reported on any failed launches by declaring them successes. Moreover, the recent statement by Mohammed Rouhani's advisor concerning planned Iranian orbital launches leads me to consider the hypothesis that the launches of Fajr and Mesbah have been delayed for technical reasons (Iran knows that North Korea failed twice to get the Paektusan-2 into space in 2009 and April 2012 and is determined not to make any technical mistakes with the first flight of Simorgh, like a premature second stage shutdown). Brugge, Norbert. Safir-1A/B IRILV. N.p., n.d. Web. 21 July 2013 <http://www.b14643.de/Spacerockets_1/Rest_World/Safir-1B-IRILV/Description/Frame.htm>. 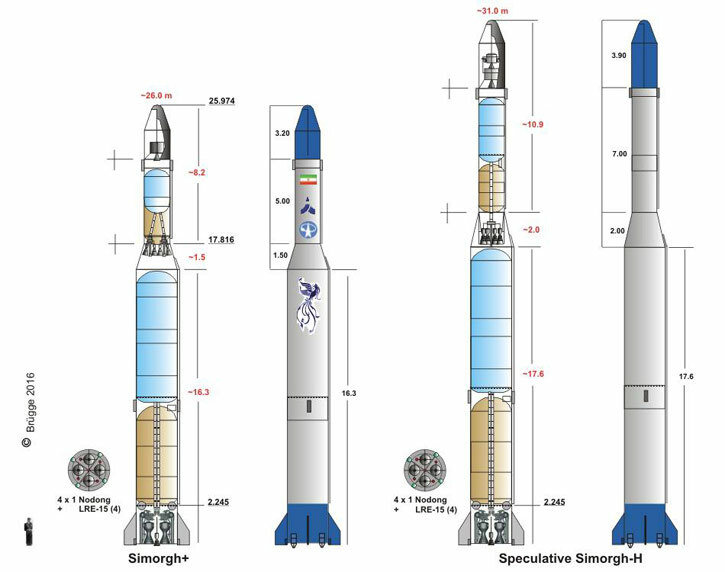 *The Kavoshgar-4 is the only other sounding rocket launched from the Semnan launch site; therefore, the Semnan launch tower is big enough to accomodate suborbital sounding rocket of the same size as the Shahab-3, not just the Safir-1. 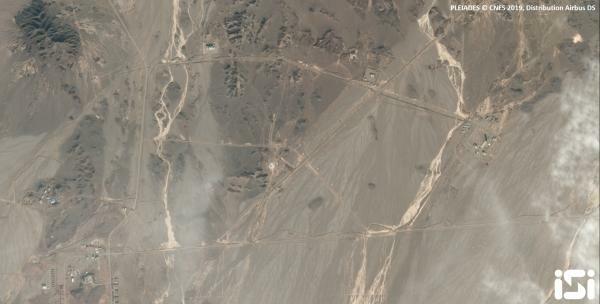 Regarding allegations of failed launches of the Safir in 2012, German space rocket expert Norbert Brugge suggests that the purported September 2012 launch failure is probably a failed suborbital flight of the Kavoshgar-5 rocket because the TEL seen in the satellite imagery near the Semnan launch site is too small to accomodate the Safir and is better-suited to accomodate Shahab-type sounding rockets (Brugge 2013)*. I think Soheil is correct. Kavoshgar 5 uses a Class C solid fueled launcher, based on the Zelzal missile. 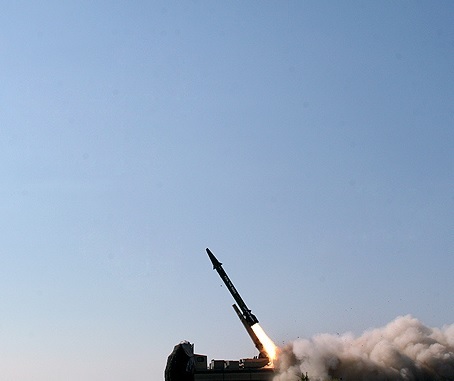 Photos indicate a failed Kavoshgar 5 launch on 8 September 2012, but clearly using a Class C launcher. So all the three rumored launch failures were really orbital launch attempts? And the first launch was definitely a test flight, rather than an orbital attempt? I've seen no evidence at all to support that theory. Everything I have seen points to an orbital attempt. Agreed - that is why I was querying the status of the launch in the above launch listing. the payload was a dummy ! what does it mean !? Do you have any evidence to support that assertion? Iran may have claimed that it was a suborbital launch or a dummy payload, but I'm afraid all the evidence suggests it was a failed orbital launch with a live payload. In the days and weeks leading up to the launch, there were various releases that claimed the launch of Omid was imminent. After the failure it suddenly slipped - exactly the same pattern seen with the Fajr failures. 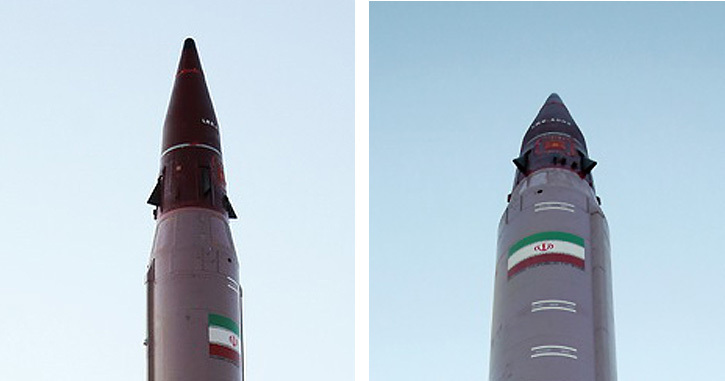 Iranian rocket names include the name of the satellite they are launching. Safir-e-Rasad launched Rasad, Navid was launched by Safir-e-Navid. The rocket used for the August 2008 launch was "Safir-e-Omid", so logic would dictate that it was carrying Omid. The rocket used for the February 2009 launch was called "Safir-e-Omid 2" - essentially acknowledging this. soheil jan , can u tell me why we have still the fajr satellite on the launch row ? 1- the satellite was recovered safely ! now as u have inside info which one is correct and the probable cause of both of the failures? about iran's launch failures my friend , i gotta tell u that the reason behind them is not just technical ! above technical issues , we are unfortunately encountering some ultra heavy jamming signals from you know where ! so the link between the sat and the command and control center is lost ====>launch failure . still technical issues are a factor , for instance we had a little prob with the newly inaugurated launcher dubbed "simorgh" . the problem is solved and we are good to go. abt the jamming signals , i think that is also taken care of for the new upcoming launchs . I thought it was against international law to interfere in the satellite launch of another country, unless the launch failed and the debris was heading towards someone. Of course, the United States considers that international laws are for other people to follow. That wouldn't cause a rocket to explode on the launch pad, as seen with one of the recent Safir failures. unfortunately, you are 100% right . iran can also do that with the launched sats, but its not a good thing to do! exactly mate ! with ONE of them . Since Safir is derived from a SRBM, I would expect it to have internal gyroscopes and computers and to not need any external signals to go into orbit. The only external signal would be for a self-destruct. Jamming would mean the Iranians could not be able to self-destruct their vehicle and foreign intelligence agencies would not be able to eaves drop on the telemetry coming from the vehicle. If there was jamming, I would expect the Iranians would be complaining very loudly at the UN. We will have an Iranian launch... in the coming days? I would add that the Nodong engine that powers the Safir first stage suffers from combustion instabilities. It is not a very reliable engine (which is why the Soviets discarded it in the first place). Further, if Iran is using homemade versions of the Nodong engine, I would expect the reliability to be worse than the Soviet/Russian built engines. Bottom line is that we should not be surprised to see so many failures of Nodong and Shahab-3 missiles, Safir and Unha launchers. my friend in Egypt says that an arabic forum hints maybe a launch NET Monday 25 November 2013 at the earliest but he and I are questioning accuracy of that date. we had so many problems with the combustion chamber ... exploded in one of the missions !!! we have a stable rocket engine ... with 42 tons of thrust ! & this is not the end !!! we have another engine under development with 50 tons of thrust ! I'm also heard mention of 25-29 November as possible dates for first attempt. So maybe our friends at the Persian hills here can give the correct launch dates (and times) of the last 3 launches in 2012-13? It would be good for bookkeeping purposes. Soheil, you and the other posters who live in Iran or in the Region please try to keep us up to date if you find anything new in terms of new news. little worried about the launch ! engine passed all the tests ... but the final exam coming soon ... fly ! Any NOTAMs in the area for tomorrow? No launch in next 6 months ... because of politics ... I feel really insulted ! What is the surprise please? I think this is the surprise. "Tehran is preparing to orbit two new home-made satellites by the end of the Iranian calendar year (March 20, 2014), a senior official in Iran's Space Agency (ISA) said. "Tests are being conducted on the two satellites of Sharif and Tadbir before the launching process," Hamid Fazeli said." So, if these launchers go ahead as planned , it would seem that the Accord does not apply to satellite launches. Most probably in the POV of Iran and its allies. AFAIK, the rest of the world at the UN thinks that the accord applies to satellite launchers because the accord declares them under the realm of military advancement projects as a missile development programme. Are you able to disclose your source for that date? And I am still curious why the August 2008 launch has been re-designated a "test" rather than an orbital attempt which failed. February 3 is the space achievements day of Iran. One can combine previous years launches or exhibitions, with the endless "Soon we will launch X satellites" and you will get the date quoted. An Iranian aerospace official says the country plans to launch an indigenously designed and manufactured satellite into orbit in early February next year. We launched X satellites & failed !!! But there is a point ... you are going to find out soon ! / / CyberSecurity.ru / / - Iran is preparing to launch three satellites of its own production, said Iranian Vice President Mohammad Shariatmadari in an interview with local media. According to him, the Iranian satellites Tadbir, Sharif-Sat and Fajr currently undergoing final preparations and prepare to head into space. He said nothing about specific launch dates, stating that the start will be when it will be suitable for technical and other conditions. In December last year, representatives of the Iranian Space Agency, ISA said that satellites Tadbir Sharif-Sat should be sent into orbit by the end of March. In addition, Iran is preparing to launch its own satellite of another, whose name has not been disclosed, as well as tests of the new booster Kavoshgar-7 . 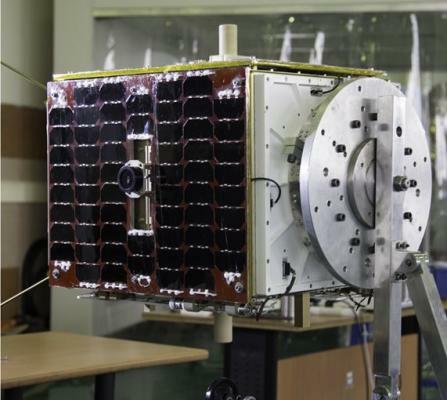 TEHRAN (FNA)- Tehran is preparing to orbit a new home-made satellite named Tadbir (Prudence) in the near future. 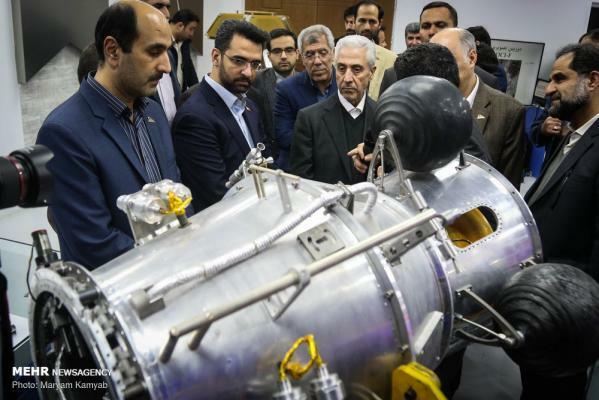 “Navid 2 satellite which was renamed as Tadbir by the eleventh government (President Rouhani’s government) will be sent into the space in the near future,” Former Chancellor of Science and Industry University Mohammad Saeed Jabal Ameli told reporters Tuesday. He said that the satellite was built by the Iranian researchers at Science and Industry University and was delivered to Iran's Space Agency (ISA) 2 months ago. “At present, the satellite is passing the final tests in ISA and is being transferred to the launch pad,” Jebel Ameli said. Also in December, a senior ISA official said that Tehran will orbit two new home-made satellites by the end of the Iranian calendar year (March 20, 2014). "Tests are being conducted on the two satellites of Sharif and Tadbir before the launching process," Hamid Fazeli said. 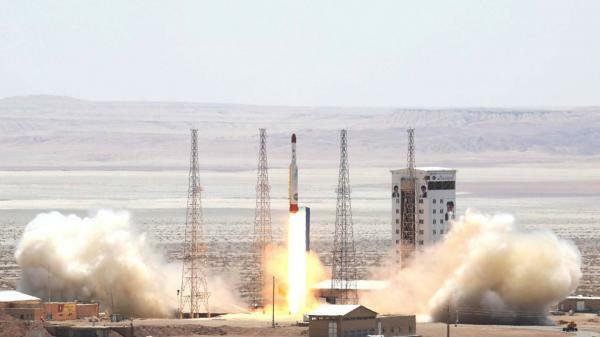 Iran introduced two new satellites of its own production . MOSCOW / TEHRAN, Feb. 3 - RIA Novosti. 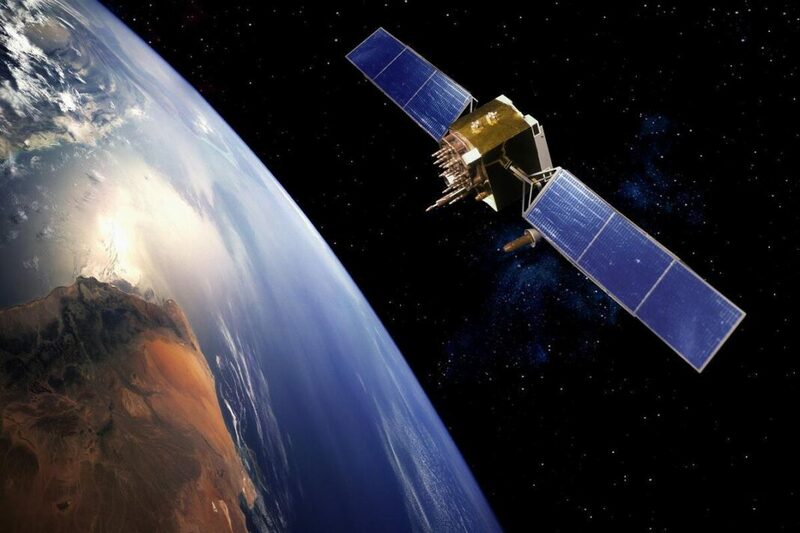 Iranian specialists in celebration of the "National Day of Space Technology" of the Islamic Republic presented two new satellites of its own production - "Tadbir" ("Wisdom") and "Khaleej-e Fars" ("Persian Gulf "), which are intended to capture the Earth's surface, relaying information in a secure mode and emergency notification in case of emergencies, said on Monday the Iranian news agency IRNA . Earlier, Iranian media reported that by the end of March 2014 Iran plans to put into orbit three satellites - "Tadbir", "Sharif" and "Nahid". 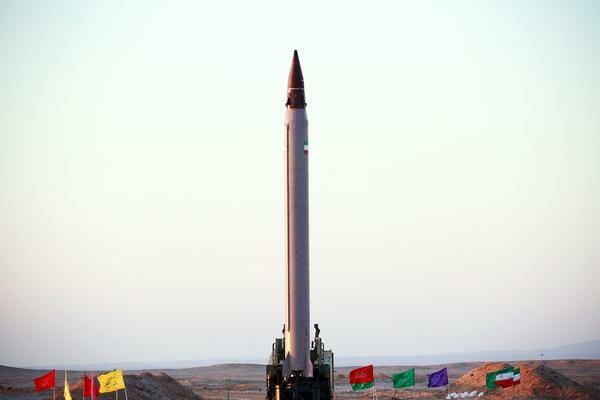 Output is planned for using Iranian rocket "Safir B1" ("The Messenger"). 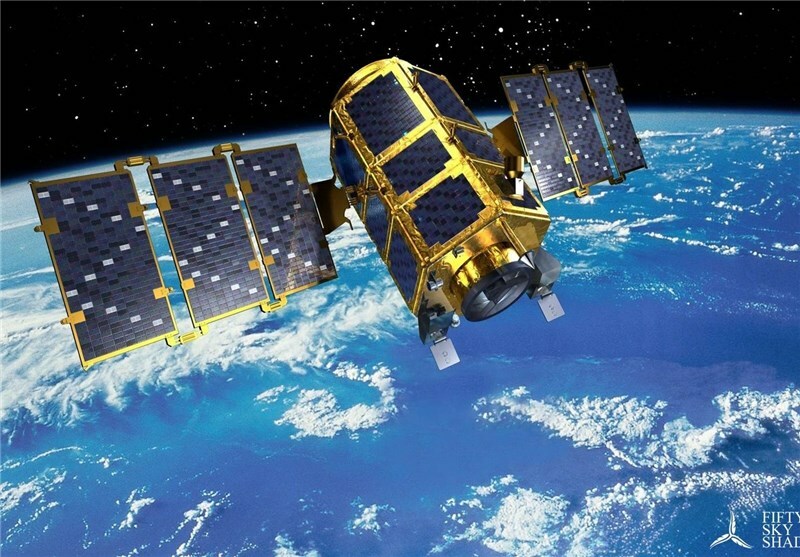 According to Iranian news agency, to design and build the satellite remote sensing "Tadbir" which passed all necessary tests and is ready for launch, Iranian scientists took five months. Sputnik "Tadbir" is a technically more advanced model of the satellite "Naveed" ("Harbinger"), to which Iran orbited in February 2012. He has the ability to spatial resolution of 100 meters, and uses the signals of global positioning system (GPS) to determine their position in space. In turn, as the agency assumed that the communications satellite "Khaleej-e Fars" ("Persian Gulf") will transmit data encryption and will be used by emergency responders in the event of emergencies and natural disasters. In December, Iranian officials have said they plan to March 2018 to bring into orbit own telecommunications satellite. "He said these three satellites are Tadbir (Prudence), SharifSat and Fajr." If there was a launch failure on 20 March, then it couldn't have been Tadbir as was claimed. A question is if these three satellites will all be on one launch vehicle. If so, is Safir-1B large enough to carry all of them? Naming these satellites in a news article says nothing. Seems more likely that they Iranian space agency wants to buy time to sort things out. TEHRAN (ISNA)- Iran three of its satellites are ready to be launched into orbit, one of which is likely to be launched early October. "The indigenous satellites of Sharif Sat (Noble Sat), Tadbir (Prudence) and Fajr (Dawn) are ready to be sent into the orbit. God willing Nahid (Venus) Satellite will be launched by the end of the year (the Iranian year which started on March 21)," said Deputy Head of Iran's Space Organization Hamid Fazeli. "Our satellites are ready and on the table." The launches will be made after making arrangements in land stations and air bases, he said. He also expressed that hope that one of the three satellites could be sent into space in World Space Week on October 4-10. TEHRAN (ISNA)- Deputy Head of Iran's Space Agency (ISA) Hamid Fazeli expressed the hope that the country would launch a satellite into space by late January. 'Sharif Sat' built by Iranian experts at Sharif Poly Technique University, Fajr (Dawn) Satellite and Tadbir (Wisdom) satellites are ready to be sent into space. He further noted that 'Sharif Sat' and 'Fajr' satellites are top priorities to be launched by late January. Fazeli also noted that Nahid (Venus) satellite would be sent into space soon. 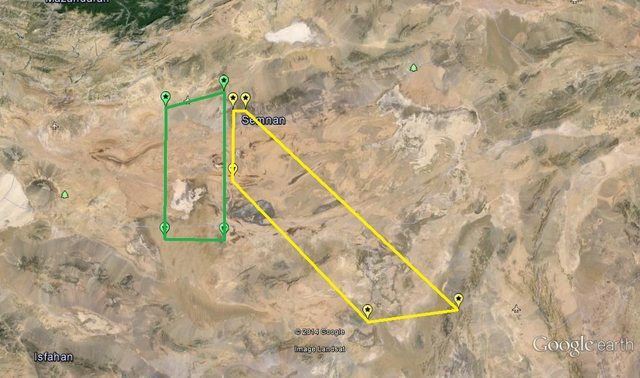 Iranian aviation autorities have issued a OID51 and OID90 warning for Semnan. Who knows what will happen !! Is this at the old or new launch complex? Or are they too close together to tell? 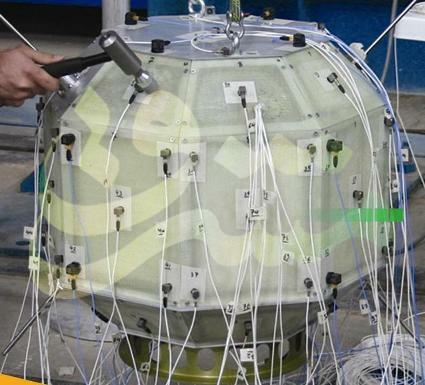 "Sharif Sat 2 has been manufactured by Iranian researchers and is ready to be sent into orbit," Fotouhi told FNA today. I'm wondering if SharifSat 1 is referring to the failed 17 February 2013 Safir-1B launch, although the wording seems to indicate that their are two SharifSat satellites waiting for launch. "Three contracts have been signed on the sidelines of the cabinet meeting to build a base for launching heavy satellites into the orbit, satellite-carriers and the Tolou (Rise) satellite," Manteqi said, addressing a press conference in Tehran on Wednesday. Manteqi said that the space center plans to put a 100-kilogram satellite into orbit in the coming months, adding, "Tolou satellite that will be sent into space by March 2016 is more advanced than the other satellites and it enjoys a large number applications." A Western diplomatic source said last week on condition of anonymity that the test was held near Chabahar, a port city near Iran's border with Pakistan. 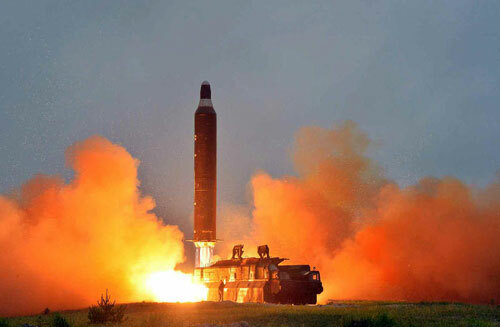 He said it was a liquid-fueled missile with a 1,900 km (1,180 mile) range and was capable of carrying a nuclear warhead. Iran ready to launch new satellite. Iran preparing to conduct new space launch this weekend. U.S. official raises Iran rocket fears; Tehran denies tests are illegal. 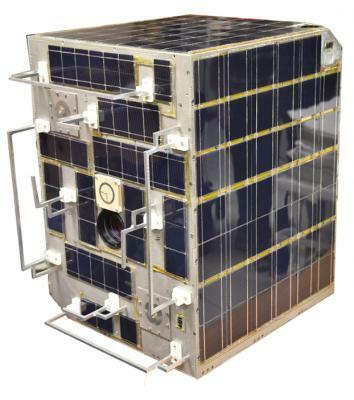 This is Russia's Cosmos 2515, the second Bars-M satellite. "Head of the Iranian Space Organization Mohsen Bahrami announced on Tuesday that the country will launch the indigenous “Mesbah” satellite into orbit in the near future, adding that a new version of the satellite is also under construction." Addressing a specialized meeting of high-ranking officials of Iran’s Space Organization in Karaj, west of Tehran, Bahrami said the Mesbah2 (Lantern) and “Nahid” satellites are under construction. "He added that the domestically-made Mesbah satellite is ready to be launched into the orbit"
Mesbah (1) was built by Carlo Gavazi space (Italy) and was dammaged in 2005; Mebah 2 was "ready for launch" by 2010, whan it was presented on Iran's space day. Good luck....sending junk satellites - SOON. As far as I know this is the first time the Notam is issued. normally this area is used for air to ground firing. But the unlimited mark puzzles me. Mesbah 1? This satellite was supposed to be launched on 2005, damaged during integration to the Russian launcher and was retuned to Italy. What would be the logic to launch it 11 years after the satelite was ready to go? Besides, I tend to think that all these NOTAMS will end in nothing. Tehran, November 10,  The Iran Project- Minister of communication says Iran brings the confiscated Mesbah Satellite back from Italy, preparing either Mesbah or Sharif home-made satellites for launch in February ....Mahmoud Vaezi, Iran’s Minister of Communication and Information Technology noted that with lifting the sanctions and JCPOA implementation, Iran is able to bring the confiscated Mesbah satellite back from Italy, highlighting Italy readiness to return the satellite. A1482 has been withdrawn, so no launch June 1 or June 2! "Three satellites of Nahid 1 (Venus 1), Amir Kabir and Dousti (Friendship) are ready for launch and we will surely send one or two satellites into the orbit by the yearend," Bahrami told reporters in a press conference in Tehran on Tuesday. I wonder what time zone the estimated launch time refers to. I was meaning whether the "evening" related to some US time zone, GMT=UT or Iranian time. If the report originates from the US they normally quote US time, often without specifying the time zone. Given the picture is in the evening, it is most likely in Iran time. 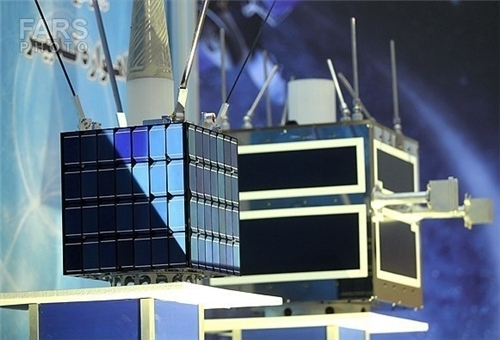 Deputy Head of the Iranian Space Agency (ISA) Jafar Roshanian announced that final works on Mesbah (Lantern) satellite, jointly developed by Tehran and Rome, have been carried out and the satellite is ready to launch. The Iranian Space Agency is working hard to meet a 2025 deadline for sending astronauts to space, Nasim reported on Sunday. During the conceptual design phase, researchers designed and unveiled a mock-up of a spacecraft, designed for sub-orbital spaceflight. The article is a bit vague. I don't think it will take the Iranians nine years to do a suborbital crewed launch! I think the 2025 date is for the orbital launch of E1. That's a file photo of the Fajr launch on 2 February 2015 (serial number LBS.2001). The article says that Tadbir is ready for launch. Its not clear when Tadbir is launching or on which vehicle. "Barkhordari added that the satellite is waiting for launch considering the type of rocket and launcher that the authorities will decide to use for sending it into the orbit." do we know a date of this test launch?? 19 April 2016. What's not clear is if this was a suborbital test or a failed orbital attempt. Simorgh First Launch – an Iranian Success or Failure? Here's a link to the Fox news article. Launch was on 29 January 2017. Looks like the ground around the pad has been changed. The three symbols are gone, with the outer area looking more white then before. Perhaps they are redoing the ground so that they can do new symbols. I can't really tell if Saifir is there or not in both images. If we look at the four towers in the left image, the dark long vertical lines are the shadows. The actual towers are pointing at 8 o'clock (indicating the photos was taken from the opposite direction). Looking at the centre we see what looks like a tower, also at 8 o'clock. However, there is no long vertical shadow. The shadow we do see indicates that the erector has been lifted, perhaps by about 20 degrees. The image on the right shows a tower fully upright in the centre, as we can see a long vertical shadow. The towers are pointing slightly North, indicating the image was taken from slightly South. At 8 o'clock to the central tower we see what might be some kind of vehicle, with another object to the West and then a taller object at 8 o'clock. At about the 5 o'clock position we can see what looks like a crane. All the objects might be related to the new surface the pad is receiving. I'm not convinced that Safir was brought to the pad and then removed. Here's a paper giving all the known Iranian missile launchers since July 2015. Article also says that Amirkabir is ready for launch. Not sure if that means that it will be launched on the next Simorgh. Is the Iranian space program dead? Why aren't we seeing any launch attempts? 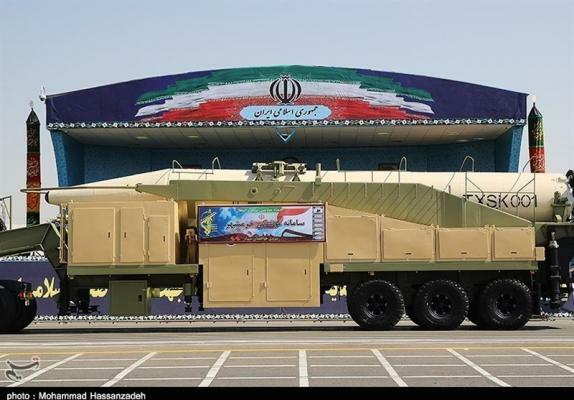 Iran is still probably working out the bugs in the Simorgh launch vehicle. Its second launch on 27 July 2017 was a failure, so a year long plus delay is not surprising. "Head of Iran Space Agency Morteza Barari announced on October 1 that three satellites namely, Payam-e-Amirkabir, Dousti and Nahid-1, which have been designed and developed by domestic experts, are now ready to take off. 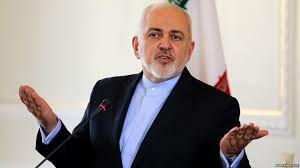 Noting that the launch date is not determined yet, the official expressed hope that all will be orbiting the Earth by the end of the current Iranian year (March 21, 2019)." Iran must be the country with most stockpile of satellites ready to be launch. And Toulu, Zafar, Mesbah 2, SRISat, Soha, Khalij Fars and more. Toulu was on the July 2017 simorgh launch that failed. As for the other payloads you mentioned none of them have had any media coverage in years so they very well could be cancelled projects. Recent reports indicate that a space launch (probably simorgh) is planned for first week February next year. Any hints of where these "recent reports" are from? What can we expect from Iran in 2019? Real launches or more promises? Spaceflightfans.cn has this on February, 2. I suppose this is only a wild guess. I've gotten to the point where I only post dates upon NOTAMs and evidence of prelaunch and launch ops. You are right, it is now removed. Will update upon evidence that the launcher was moved to the launch site. To many TBD's listed to add it. U.S. 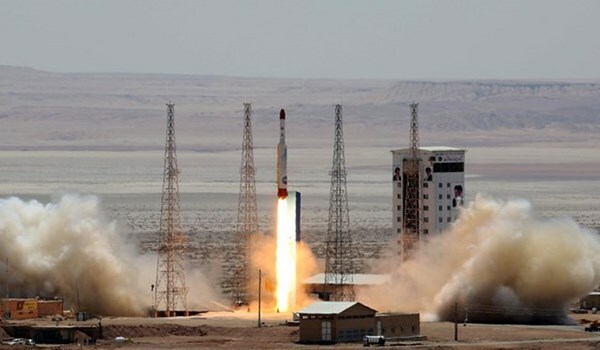 Warns Of Consequences As Iran Prepares To Launch Satellites. I believe that it is threats like this which have caused the big delays in the iranian launch schedule, not any major problems with the satellites or launch vehicles. Somebody know what engine is this? Thats a solid fuel kick stage for simorgh. It would function as a third stage to either increase amount of payload to orbit or allow payloads to be launched into higher orbits. I believe it was first introduced back in february 2017 but from what we know so far it has not flown. I think the most interesting thing in that article was the picture of the 2017 Simorgh launch. I hadn't seen that before. The last launch of Simorgh in July 2017 (about 1.5 years ago) was a failure. Working out what went wrong and then fixing the problem could take a lot of time and explain why there has been no launches recently. According to satellite imagery in this tweet below we might also see a safir launch next month along with simorgh. 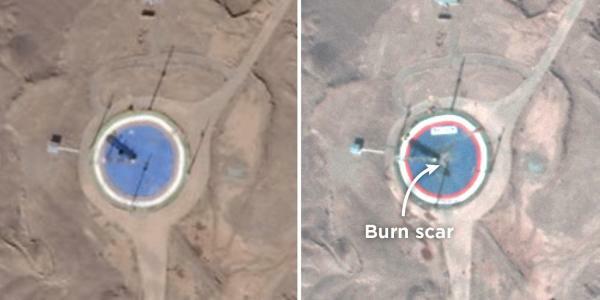 Both launch pads at the imam khomeini space center are showing signs of activity. The launch preparation process is on its final stages. He added that Dousti satellite is waiting to be launched. Morteza Berari, the head of Iran’s aerospace organization says Iran plans to launch four more satellites into space. 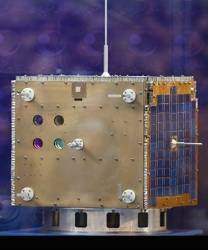 "The "Nahid 1" satellite is completed and the compatibility process with the launcher is followed up."